Typewriter aficionados, take note: Your kindred spirits will be hammering away on (and about) Remingtons and Royals and Smith-Coronas this Friday during Middlebury’s first Arts Walk of the 2012 season. Main Street shop Clementine is hosting the event, at which shoppers will be able to peruse various typewriters, hunt-and-peck out notes, or dust off their own machines for a quick tune-up. Enter Sam Carlson, 24, a recent Middlebury College graduate and self-taught typewriter repairman. On a recent afternoon at the shop, he’s tuning up a 1940s Royal Model O in advance of the Arts Walk. As he works, he remembers the old Remington Quiet Riter — anything but quiet, he says — that he sometimes used years ago to compensate for his atrocious handwriting. Carlson will be on hand on Friday to tune up old typewriters for a $10 fee, and to whisk away those in need of more serious repairs. Blistein, meanwhile, will make freshly repaired typewriters available both for sale and testdrives. 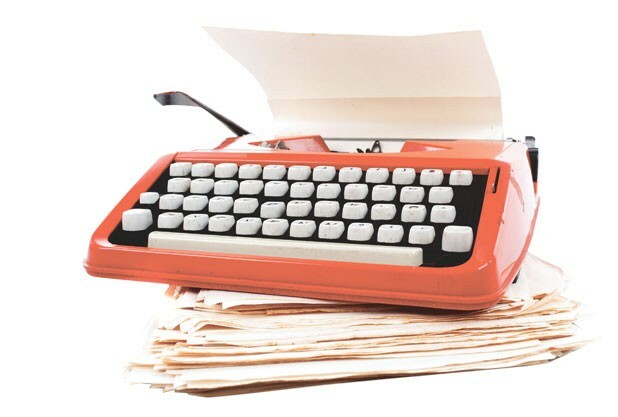 “For all those typewriters that are stored away in people’s attics — to see them get a little new life in them would be fabulous,” Blistein says.